Ah that word ‘Creation’ again. It has plagued Course students for decades. We think we know what it means and then we lose it again. So we might question, “What are our CREATIONS?” Can we ‘see’ them. Can we take joy in them if they are not ‘real’? Ah perhaps that’s the key. Are they ‘Real’? We perceive what is transient and finite. And we are learning that only what is Eternal is True and stems from Knowledge. So it would seem that the beauty of our ‘creations’ on this plane is merely an illusion. How could they be TRUE if they are perceptions. And thus, in this Dream, it would seem we are learning that creation is impossible and that this world is an illusion. I’m thinking that we might not be able to ‘understand’ what is meant by ‘our creations’ but we may very well ‘experience’ what is meant by them. Maybe we need to pause and step back to see it from outside of the usual way we think of ‘creation’ or anything-everything, for that matter. GOD I AM:“We should not lose heart when we are told that this world is an illusion. The tree, the lake, the lark and the sky or a crisp mountain morning-the delight of little ones chasing clumsily through meadows lift our hearts and thus point the way. The truth becomes reversed when these are seen as being apart from us. This reminds me of Lesson 268 “Let all things be exactly as they are.” . In the ripple upon a lake. 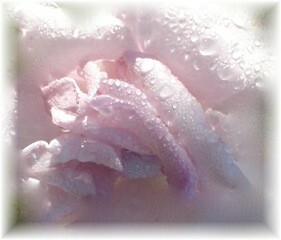 In the sparkle of morning dew. When the Light catches you. And from the two is born A new world. This brings to mind recounts of Near Death Experiences [NDE]: Anita Moorjani, Billy Fingers and Dr. Rajiv Parti, for example. The Dr shared that he experienced this change in perception during his NDE and when he regained consciousness he was filled with GRATITUDE! NDE Stories . GOD I AM: “Such sight would be at a loss for words, for words for this have not been coined. One with such sight would weep with joy and utter only this: Thank you God for being God! Thank you for being the ME of me. GOD I AM: “At this point we may have comprehended in depth already what this material is trying to bring to our awareness: our experience of life on Earth can be Heaven on Earth, if we allow it to be so. To allow means not to resist but to see life as a whole and not single out parts and value those as wholes in themselves. If we insist on our upside-down perception we fail our mission. I will let everything point the way Home! Everything can be an expression of Love – IS an expression of Love. I will be witness to the living GOD – right here and right now. 1 No one attacks without intent to hurt. This can have no exception. When you think that you attack in self-defense, you mean that to be cruel is protection; you are safe because of cruelty. You mean that you believe to hurt another brings you freedom. And you mean that to attack is to exchange the state in which you are for something better, safer, more secure from dangerous invasion and from fear. HE tells us in this lesson that “No one attacks without intent to hurt. This can have no exception.” And yet we make exceptions almost immediately. One exception might be a situation in which we would attack someone and feel justified. And what about ‘self defense’? Wouldn’t we, at the very least, attack in self-defense? How could we not? Doesn’t the god of fear tell us all that if we do not defend ourselves, we could be hurt? Doesn’t the god of fear tell us that our only protection and security, from a dangerous invasion and from fear, is to ATTACK in retaliation? And so we defend ourselves to keep what we have; or we attack another to get what we think we want. How could we possibly think that we could gain at another’s loss? A VISITOR to our ACIM Study Group recently shared that an incident had occurred in his home ACIM Study Group. He described the facilitator of his Group as very non-confrontational and accepting. And he described his group demographics as all women, except himself, who were over 60 years old. A man, an INTRUDER, joined their group and announced that he was going to be taking over. Our VISITOR told us that this man hinted that he had a weapon. That’s when our VISITOR made the decision, based on the inability of the Facilitator to protect the group and based on the vulnerability of the elderly women in the group, to proceed with a preemptive strike. He told the man that he was leaving and escorted him out by force. As he did so, someone had already called the police and the police took the INTRUDER away. Our VISITOR reasoned that he was merely acting out the ‘dream’ of the INTRUDER. The INTRUDER was ‘dreaming’ that it was his job to attack the group and cause a reaction. And so our VISITOR was just giving him what he wanted. When he mentioned this, our group exploded in laughter! It seemed like a plausible scenario. The INTRUDER ‘wanted’ to go to jail! And yet is there another way to see this? When we make a judgment from the belief that we can choose what is real in any situation, we are placing our belief in the unreal. 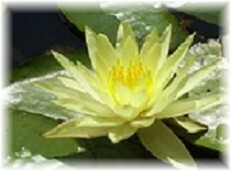 “Nothing real can be threatened and nothing unreal exists”, from the ACIM Introduction. We separate ourselves into separate ‘bodies’ and then protect these bodies by mitigating a perceived attack. Amazing!!! No one loses. Nothing is taken from anyone. Blessing everything and everyone with our holiness, with our sight of wholeness and perfection, is our salvation. That is why our brother is our Saviour! When we bless him, no matter what he is choosing to ‘act out’ from his nightmare, we teach the meaning of love. How could we possibly ‘bless’ this INTRUDER, in this situation? He tells us “Your holiness blesses him by asking nothing of him.” In any attack, there is an opponent which is needed for the attack to have meaning. When there is no opposition, the attack fails. It returns to the nothingness from which it came. Its seeming ‘reality’ comes only from the defense it engenders. Without a ‘defense’ it becomes impotent. He tells us you teach the world by “your quiet recognition that in your holiness are all things blessed.” ACIM Lesson 37 What could occur that does not warrant our quiet recognition of this holiness in all things? Yet we may wonder how could we ever see that this seeming attack warrants our quiet recognition of ‘holiness’. If we do that, won’t we open ourselves to pain and suffering? Without our defense, wouldn’t there be chaos? And He tells us without the ego all would be Love. He also tells us that in our defenselessness our safety lies. Attack and defense are two sides of a dance that has been re-enacted over and over since the beginning of our illusory time. He also tells us that “If I defend myself I am attacked.” ACIM Lesson 37 The situation becomes an ATTACK only if and when I DEFEND myself. In the book, “Creating Miracles” written by Carolyn Miller, PhD, there are many examples of those who were in the face of imminent death and yet in that moment they experienced a clarity and a peace and a sense of unconditional love and wholeness that encompassed everything, including the perpetrator. In that moment they became ONE with the perpetrator. The would-be murderer knew that they had been forgiven and released of their guilt and in that Holy Instant they were transformed. So, how could this ‘situation’ have been different? A man comes into the group and announces he is taking over control. The reaction by those who are in the group is one of surprise and then perhaps gaiety! “Welcome dear one!! We’ve been awaiting your arrival. How blessed we are to have you with us today.” The group knows themselves, and the INTRUDER, as whole and complete and still as God created them and from this knowledge of their wholeness they make no demands.” Out of their Knowledge of Who they are and Who the INTRUDER is, they know they need only extend their love. The INTRUDER is totally caught off guard and then the sinlessness in him recognizes the love that is being shared with him! He opens to the shared recognition of his wholeness and his light. Isn’t that what we all want as well? Isn’t that what we are all searching for? You have no idea of the tremendous release and deep peace that comes from meeting yourselves and your brothers totally without judgment. When you recognize what you and your brothers are, you will realize that judging them in any way is without meaning. In fact, their meaning is lost to you precisely because you are judging them. And so we lovingly bless this brother by seeing what is REAL in him. We need nothing from him. He need not be different. From our Wholeness we see him as Whole. We see him with the eyes of Love. And as we see him, we see ourselves. This is why we came here. This is our salvation. “Avatar” is a movie that was written and directed by James Cameron and has earned more in sales than any other movie has ever earned in the history of movie making. It is a film depicting the clash of cultures: between an aboriginal society connected not only to one another but to all of nature as well, and a civilized culture disconnected and alienated from one another and nature and in desperate need of natural resources. As you can see, it’s actually an ancient scenario. And yet, what if the conflict in James Cameron’s movie ‘AVATAR’ were one between the ego and the Son of God. In other words, a replay of the crucifixion which illustrates that the Son of God is not a body and cannot be destroyed AND, that the Son of God has only love and appreciation for everyONE, as taught in “A Course in Miracles”. “The crucifixion was a complex of behaviors arising out of clearly opposed thought systems. What if Avatar were a ‘movie’ in which the ONE MIND is seemingly duped into accepting a thought system which believes in blame and punishment and condemnation. And the other part of the ONE MIND believes in what it IS, the Mind of God, which never condemns but instead demonstrates the Eternal Reality of the sinlessness of God’s Son. and REINFORCES the idea that blame is justified. The Na’vi, in the current movie AVATAR, saw themselves as ‘separate’ and chose to PUNISH the Evil Ones who ‘attacked’ them, thus exercising their ‘projection of blame’. This behavior TEACHES that the belief in BLAME and PUNISHMENT and ATTACK is justified and that the separation is real. Their behavior teaches the belief in separation which motivates it. “As the world judges these things, but NOT as God KNOWS them, I was betrayed, abandoned, beaten, torn, and finally killed. What if the Na’vi were motivated by the belief in their sinlessness and Oneness of the Sonship instead of seeing themselves as persecuted. If these beliefs were their motivation, what would be the response to the Evil Ones, who are equally sinless and therefore deserving of love and appreciation simply because they are not separate? “You are free to perceive yourselves as persecuted if you choose. that I WAS persecuted as the world judges and did NOT share this evaluation for myself. I therefore offered a DIFFERENT interpretation of attack and one which I DO want to share with you. She was talking about that pivotal moment in the movie. That moment when we all held our breath as Avatar Jake, now a true Na’vi, stood in front of the very connected and harmonious community and announced they would …………ATTACK! It was the INSTANT in which the hope evaporated, that somehow the ancient memory we all carry in our Souls of our Oneness would be made manifest, if not in our lives then perhaps on this celluloid projection screen. Instead, what we saw presented was the idea, as if it were novel, of continuing down the same maze we’ve been going down since the beginning of time BUT this TIME, the cheese would magically be there; or would it? Was it? What COULD they have done differently? There didn’t seem to be any other choice. The choice of condemnation, blame and punishment is all there is; or is it? And so, we are presented with the opportunity to choose once again and this time to give the LOVE that is so obviously being called for and thus heal the separation. That’s what the Course in Miracles has to offer us. It offers us a SHIFT in perception, which is the MIRACLE. It’s a SHIFT out of the current mind-set of ‘US and THEM’ and back into our Right Minds and into our Oneness. The one thing my husband and I have noticed as Course in Miracle students is our reluctance and increasing inability to see another brother as an ‘enemy’. Once you recognize the oneness of the Sonship, the concept is meaningless. Colonel Miles Quaritch, the main antagonist of the film, was appropriately stationed as the Chief of Security of Hell’s Gate on the planet Pandora. He was definitely evil personified but what joy could there be in his ‘suffering’ and death when you see him as yourSelf? So let’s take a look at the ‘dramatic’ situation. What did the Evil Ones want? They wanted the very valuable ore called, oddly enough, UNOBTAINIUM, from the land of the Na’vi. That ‘material’ was important to the Evil Ones since it represented their PHYSICAL well being. It promised all the things that money could buy. And to get this ore, the Evil Ones had to destroy the sacred habitat of the Na’vi. And what did the Na’vi cherish? Their Spirits connected so beautifully with the Spirits of the plants and animals and thus they lived almost as One. They chose, however, to build the ‘external’ to house the ‘ETERNAL’. They thought their Identity lay there and thus by thinking that the perishable were real, they were unable to release it. What if the Na’vi demonstrated that they could NOT ‘BE’ ATTACKED as Jesus demonstrated on the Cross? What if they taught the belief that what is perishable and changeable is not REAL, as Jesus did? that your attack was justified, and that you are in no way responsible. that a brother is worthy of attack rather than love follows. What can be expected from insane premises except an insane conclusion? the sanity of the premises on which it rests. You cannot be attacked because of what you ARE. You are not your body. You are still as God created you, Eternal SOUL. That was the demonstration of the Crucifixion and the RESURRECTION. of some of the Sons of God upon another. “Assault can ultimately be made ONLY on the body. There is little doubt that one BODY can assault another and can even destroy it. Yet if destruction ITSELF is impossible, then anything that is destructible cannot be REAL. The Na’vi had the choice of equating themselves with the destructible body or with the indestructible Soul, just as we all do. What if their religion were basedon the destructible but only on what is REAL ~ The Holy Thoughts of God. The experience of the Na’vi resonated so beautifully with us. It was as if we were remembering a time when there was that intimate connection with the Soul of everyOne and everyThing. When they were flying, our Souls were flying too in sheer freedom and remembrance. WHOLENESS was the belief of the Na’vi and their lives demonstrated the connectedness of everything. That connectedness, however, stopped at the perimeter of their world. “..what you project you disown and therefore DO NOT BELIEVE IS YOURS.” The judgment is that something can be ‘other’ and also that it can be wrong. “Projection will always hurt you. and its only purpose is TO KEEP THE SEPARATION GOING. It is solely a device of the ego to make you feel different from your brothers and separated from them. thus obscuring your equality with them still further. because projection is always a means of justifying attack. We make ourselves feel better than the Iraqi’s; better than the American Indian; better than the person of color; better than the Na’vi savages; AND better than the Evil Ones who are coming to take our ore. All belief in separation obscures our EQUALITY. “The Holy Spirit begins by perceiving YOU as perfect. He recognizes it in others, thus strengthening it in both. This kind of perceiving is the way HOME. To perceive with the Vision of the Holy Spirit brings us back to sanity and Reality. The challenge then is to look on what we have projected, with the Vision of the Holy Spirit and see its perfection. your OWN mind perceives ITSELF as totally harmless. The Na’vi had a choice, as we all do. They could have ‘seen’ the Evil Ones as separate from themselves and with the ability to harm them or they could have ‘seen’ the Evil Ones as themSelves; simply the Son of God dreaming a dream of separation and deserving only of Love and appreciation and the healing that comes from right perception. And in their defenselessness, their safety lies. Truth needs no defense. What if the Na’vi truly knew where their Treasure lies. They would have no resistance to the Evil Ones. What if they knew that any attack thoughts would only attack their invulnerability! What if they KNEW they are safe and cannot be destroyed. They ARE Eternal Spirit. They are the Light of the World. They are still as God created them – and so are the Evil Ones. Have you ever witnessed the miracle that comes when there is an attack and yet there is no defense? Attack gets its strength from the defense it engenders. Without that defense, it is impotent. What if the most important TREASURE of the Na’vi was the RESURRECTION and not ‘crucifixion’. That is, to see their brothers as sinless and deserving of unconditional love. What if they knew there is One Mind, they within it and it within them. because that would be magic and therefore would not be real healing. This is why the healer is part of the resurrection and the LIFE. The RESURRECTION then is not of the ‘body’ but the reawakening of the Spirit that is ALREADY THERE. And what if the result were a healing of the seeming separation and a return of Heaven on Earth. That could have been the choice of the Na’vi and that could be our choice as well. So now it’s left to us to leave the movie theatre and dream our own movie. We are the writer and director. What will our screenplay BE? “Remember that the Holy Spirit is the communication link between God the Father and His separated Sons. and that many need your blessing to help them hear this for themselves. you will have learned of me and will be as eager to share your learning as I am. because the reawakening of every Son of God is necessary to enable the Sonship to know its wholeness. Janaki Joy Green [Reja-Joy] is one of the founding members of the Course in Miracles Society [CIMS]; She is the CIMS webmaster, has facilitated Course in Miracles study groups since 1983, is in the Community Miracles Center ministerial program and currently resides with her loving husband Chris Green in Omaha, NE. is in the Community Miracles Center ministerial program and currently resides with her loving husband Chris Green in Omaha, NE.